For floor repair in the Atlanta area, Archer Restoration Services is the place to turn when you want the job done efficiently, professionally and beautifully. Whether your home or place of business features hardwood, laminate, tile or carpeted floors, Archer’s floor restoration experts will make it look like new again. When you call Archer for floor repair, you can count on the best service in the industry. 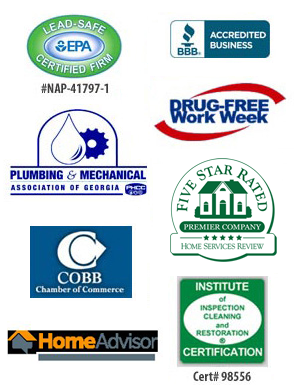 We are fully licensed, bonded and insured and have an A-plus rating from the Better Business Bureau. Our floor restoration experts have more than 50 years’ combined experience in the restoration business, and we are available 24 hours a day, 365 days a year. Contact Archer Restoration Services for all your floor repair needs in Woodstock, Norcross, Lawrenceville, Canton, Stone Mountain, Sandy Springs or anywhere else in the Metro Atlanta area.